The Prudential Spirit of Community Award is a nationwide youth volunteer recognition program sponsored by Prudential Financial in partnership with the National Association of Secondary School Principals. St. Elizabeth local honoree this year is senior, Sean Holly. 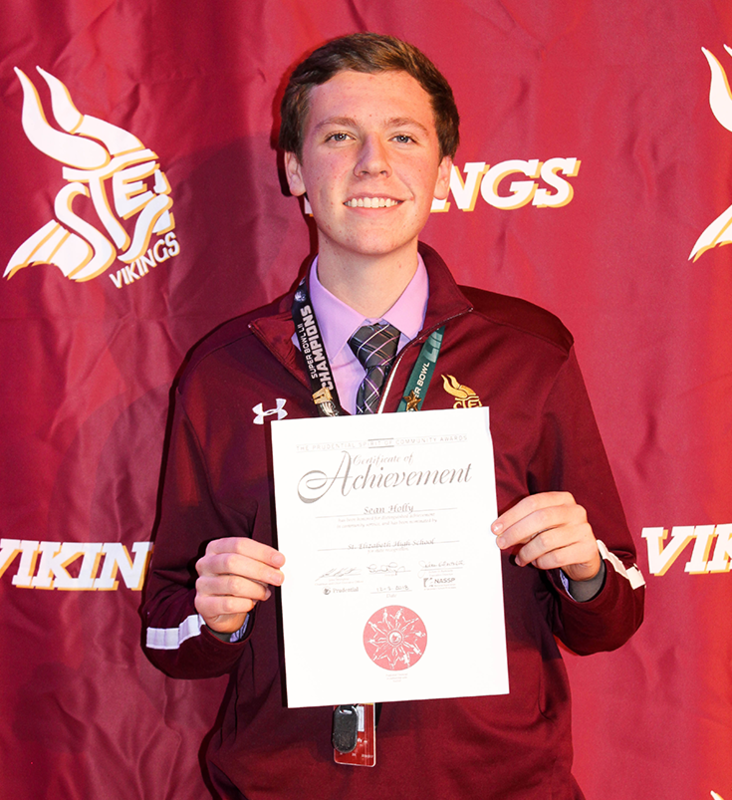 By selecting Sean as our top youth volunteer, the school has advanced his application for the state-level judging. Sean is now in the running to be named of the 2 Prudential Spirit of Community State Honorees for Delaware. Sean has recorded numerous hours of community service across many differing activities, but most noteworthy is his innovative and forward thinking proposal for a brand new high school student job shadowing program for students who are interested in pursuing a career in the medical field. Sean worked tirelessly throughout the summer to finalize his proposal and pilot program - Apollo: Youth in Medicine. Sean's community service program has grown into a team of 8 members, 3 of whom are high school students who work together, each in their area of expertise to promote and expand this amazing program. Apollo: Youth in Medicine just completed its very first pilot shadowing program. The program offers brief, one day job shadows with local doctors in numerous different specialty areas to 22 local high school students from 4 different schools.